Jodi-Anne Smith is a Senior Associate with the Nautilus Institute. Jodi-Anne specializes in using systems thinking to solve complex problems. She was awarded her PhD from the University of New England in 2004. Her PhD research involved looking at the issue of business sustainability and the ways that governments could most effectively work with business personnel to get them to improve the sustainability of their practices and products. 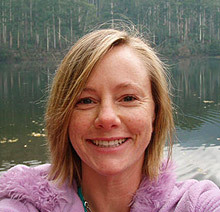 Jodi-Anne also has a Post Graduate Diploma in Natural Resource Management from Adelaide University; a Bachelor of Applied Science in Environmental Health from Flinders University; a Certificate IV in Workplace Assessment and Training; and is now part way through a Diploma in Professional Counselling, majoring in Abuse Counselling. Jodi-Anne has also completed the MIT Guided Study Program in System Dynamics.